Hard on the heels of the South Gloucestershire club’s bronze medal-winning success at the World Acrogymnastic Championships in Antwerp thanks to stirring showings by the Finn Cochrane-Kirsten Owen combination, King Eddies learned a whole host of its best upcoming performers had been scooped up by watchful GB talent spotters. It means the score of chosen club members, aged from 11 to senior, will head to the home of British Gymnastics at Lilleshall in Shropshire at various stages over forthcoming weeks for weekend sessions under the guidance of top British coaches and selectors, with a view to putting themselves firmly in the frame for more major national and international recognition. 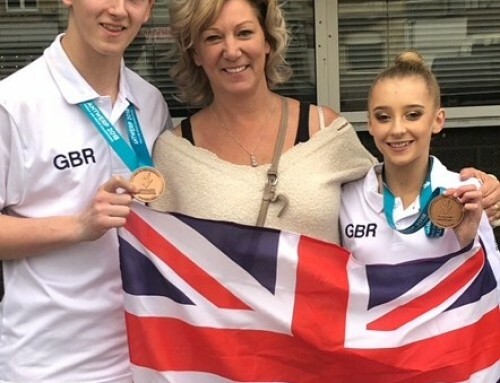 Nikki, herself a GB coach whose father Tony Wills founded King Edmund GC in the early 1980s, said: “We’ve always had gymnasts involved with the Great Britain set-up but never anything like this in our 37-year history. 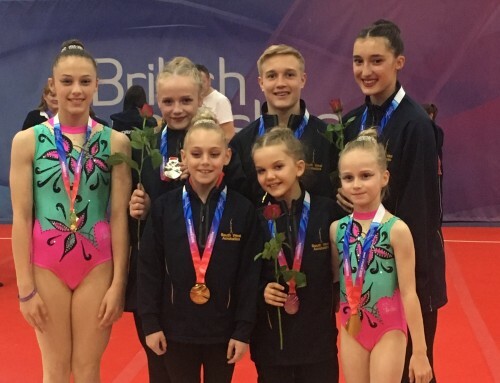 “To have 21 of our gymnasts all called up for GB development squads in one go like this is an outstanding achievement and fantastic honour. “It’s a great accolade and while the gymnasts can take credit for that, so can our coaching staff for the hours they put in to keeping King Eddies, and our home at Yate International Gymnastics Centre, not only up there among the nation’s elite but the world too. “It’s so encouraging to know that while the club has been around for nearing four decades now, and enjoyed so many successes, we are still going from strength to strength. The Lilleshall-bound King Eddies party comprises the 11-16 (age) team of Joel Compton, Ed Haskew, Daniel Owen, Alex Reeve, Alex Basu, Vinney Panetta, Sarah Friis, Freya Lane and Sophia Monchar. The 12-18 group is made up of Dylan Howells and Lola Sady, while the junior squad contains recent successful World Championship performers Finn Cochrane and Kirsten Owen along with Grace Monchar and Nyree Williams, who also took part in those same prestigious Belgium games. Abbie Kirby, Rowan Attfield and Lucy Taylor have also gained GB development squad call-ups for that same age category. 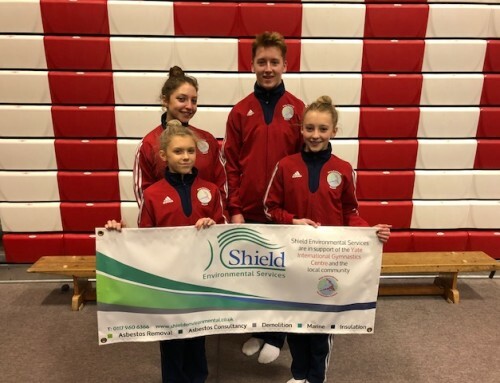 Last but far from least, the senior squad parades Lydia Cracknell, Dove Strachan-Wills and Isobel Davy, all attempting to catch the eye and sharpen their acts as partnerships on the world acrogymnastic stage. Anyone wishing to learn more about Yate Leisure Centre-based King Edmund Gym Club can visit www.acro-gymnastics.co.uk or visit their Facebook page, Yate International Gymnastics Centre. Alternatively they can be called on 01454 320662.